Shaw Surfacing Tarmac Driveways Staffordshire Stoke on Trent. Every new block paving driveway we create is totally unique and crafted to your individual taste and requirements using our extensive range of quality block paving bricks enhancing the look of your home in only a few days. I & M Shaw’s range of block paving designs for driveway patio or paths offer an amazing variety of styles, colours and designs that will transform your new driveway or patio. 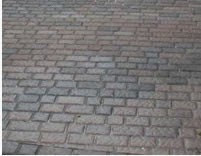 We offer a complete service from the initial design to the installation of your new block paving driveway or path covering the West Midlands, Staffordshire, Shropshire, Derbyshire. Leek, Congleton, Macclesfield, Stoke-on-Trent, Crewe, Derby, Uttoxeter, Burton upon Trent, Mansfield, Sutton in Ashfield, Matlock, Belpher, Newcastle under Lyme, Stone, Cheadle. Our commercial tarmac and asphalt services includes all phases from clearance of the site through to completion. We undertake commercial and domestic groundwork for industrial development, sports, schools and playground facilities, office parks, domestic landscaping and other specialist projects such as golf courses, and sport tracks. © 2019 I M Shaw Tarmac Driveways Stafford Stoke.